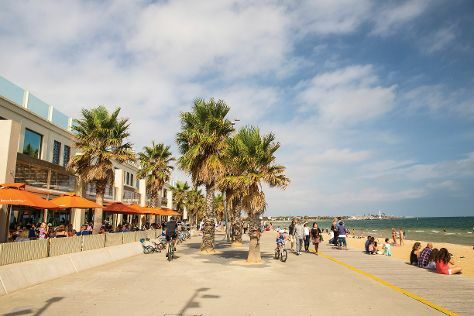 Visit St. Kilda Beach and Eastern Beach Reserve for some beach relaxation. For shopping fun, head to Melbourne Central or Collins St/Swanston St. Spend the 1st (Sat) wandering through the wild on a nature and wildlife tour. There's lots more to do: admire the natural beauty at Royal Botanic Gardens, take a memorable tour with Tours, soothe aching muscles at some of the top local wellness centers, and meet the residents at Melbourne Zoo. To find more things to do, traveler tips, reviews, and more tourist information, use the Melbourne trip itinerary planning tool . If you are flying in from Singapore, the closest major airport is Melbourne International Airport. In May in Melbourne, expect temperatures between 20°C during the day and 9°C at night. Finish up your sightseeing early on the 7th (Fri) so you can travel back home.